The Mack Innovations Line Access Platform is designed as part of our unique, modular, Hydra Utility Mount System (HUMS™). Able to be installed with no aircraft modification, the HUMS™ provides a structural platform for Mack Innovations AS350/355 Utility Construction mission kits such as the Line Access Platform, the Javelin™ water lance, and the Skystep™. The Airbus AS350/355 series has proven itself as a versatile utility helicopter, with its high performance and load capacity making it ideal for powerline construction and maintenance projects. 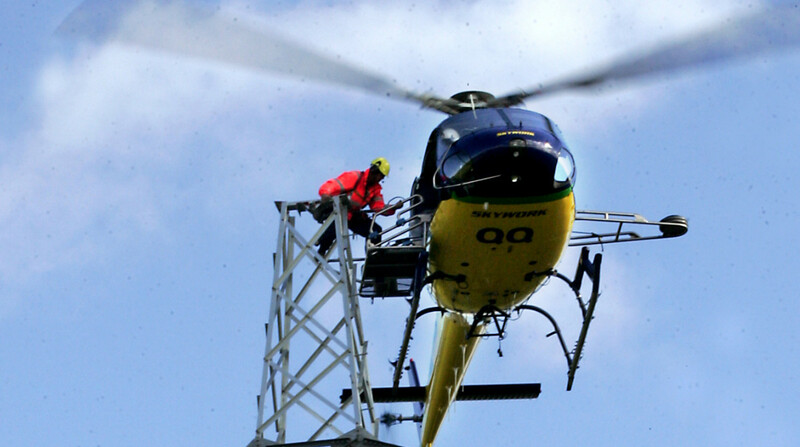 The HUMS mission kits extends the capability and value of the helicopter by allowing rapid reconfiguration and multi-role usage of a single helicopter on a project. 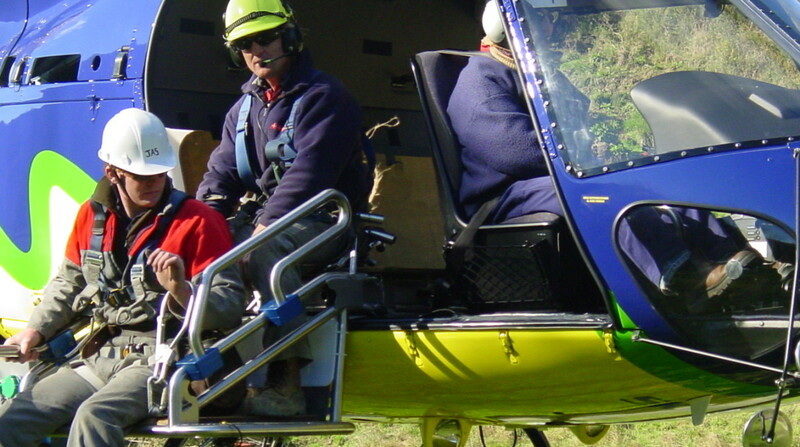 The Mack Innovations Line Access Platform was designed to allow the AS350/355 aircraft to be used to install spacers on new line construction projects as well as introduce the AS350/355 aircraft to bond on live line projects around the world, with the first project was carried out in New Zealand in 2006. The AS350 has increased payload over alternative helicopters such as the MD500, giving productivity improvements from 40-50 spacers/hour in an MD500 to 85-95 spacers/hour (AS350B2). The Line Access Platform is also a bidirectional system which now allows the unit to be fitted to either side of the aircraft to allow the nose of the aircraft to be uphill keeping the aircraft’s tail well clear of the conductors at all time. It can also be operated in a dual platform configuration for special inspection projects. The Line Access Platform and counterweight arm (optional) fit inside the aircraft for ferry flights, and attach to the aircraft using 8 quick-pins.